Screams ring out in a madhouse as a man shoots his best friend in cold blood. What drives him to such a desperate act? Greed? Jealousy? Madness? Or a woman? A woman said to have mystical powers, in league with the darkest forces of the cosmos? Is the gunman’s testimony the invention of a calculating killer, or is he another victim of a supreme evil that lurks unseen among us? A meteorite from cosmic space falls to earth on a backwoods Massachusetts farm. The space rock possesses peculiar qualities and mystifies even the brightest university scientists. But it soon becomes clear that this is no ordinary meteor, as its otherworldly influence unleashes a creeping wave of despair, death, and decay into the land and its inhabitants. Dark and brooding intergalactic terror! A brilliant medical student dreams of bringing life to the dying - and to the dead. How far will he go to achieve his dream? Will his genius unlock the secrets of life and death, or will boundless ambition twist his noble purpose into something monstrous? An escaped madman. 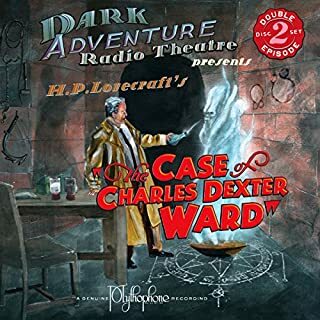 Unspeakable research into the blackest depths of the occult. 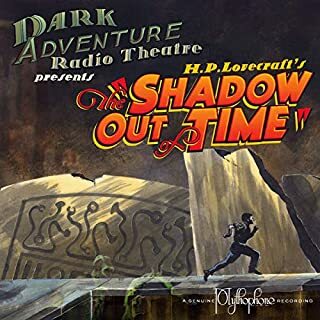 Shadowy figures ruthlessly pursuing unholy secrets. Will a young man’s thirst for knowledge push him over the brink to madness, or will it lead him to a fate far, far worse? The ocean's imponderable depths contain mysteries far beyond the grasp of mortal men. From the adventurous mariners of ancient times, to simple fishermen of our own New England of yesteryear, mankind has found the seven seas to be both the source of life, and a watery grave. When man seeks to delve too deeply into that abyss, what appalling secrets will rise to the surface? 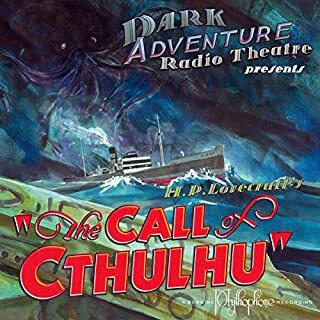 And what will mankind do when faced with the unnamed horrors of the deep? Frightening tale, but disjointed in format. A strange case of amnesia strikes down a university professor: Five years of his life vanish under a mysterious cloud. He recovers and embarks on an investigation to piece together his strange activities and nefarious associations while afflicted. 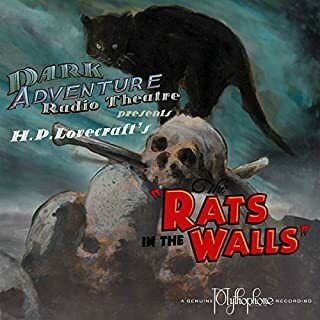 Dark Adventure Radio Theatre celebrates Houdini’s enduring legacy: Journey with us back to a time before the war, as Houdini searches for his next great illusion in exotic Egypt. His quest to master the Orient’s mysteries leads him to temples deep beneath the desert sands, and into the clutches of fearsome Bedouins. 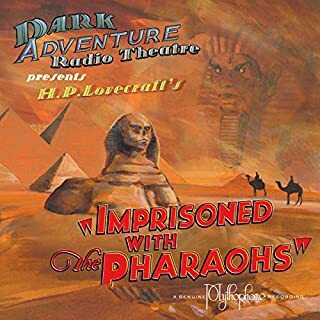 Not even the great Houdini can escape the thrilling and horrifying secrets which have lurked for untold millennia under the pyramids in “Imprisoned with the Pharaohs”! For decades, an old Providence church has stood empty, silently looming in the city's skyline. As a young writer looks into the history of the abandoned church - and the cult that once resided there - an ancient horror stirs. 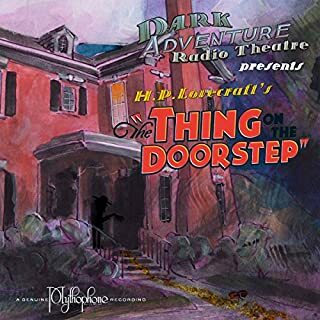 Will he be able finally to solve a mystery shrouded in darkness, or has he merely paved the way to become its next victim? 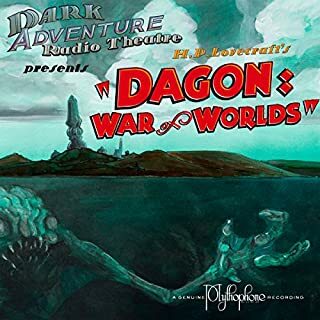 Public Domain (P)2017 HPLHS, Inc.
My first HPLHS experience, and I have never read the story before, so I don’t know how it compares to the original, but this version was very good. The sound effects and different character voices really brought the story to life. It was quite creepy in certain parts and was a nice bit of entertainment for an hour or so. 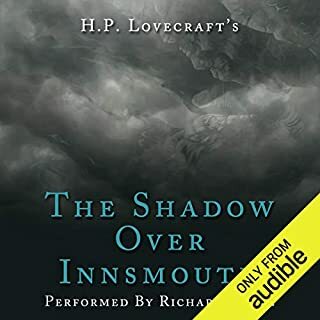 A fairly typical, but still frightening Lovecraft story. 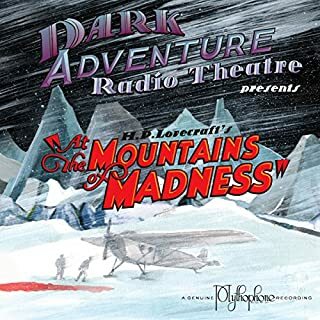 This story accompanies "The Shambler From the Stars" by Robert Bloch. 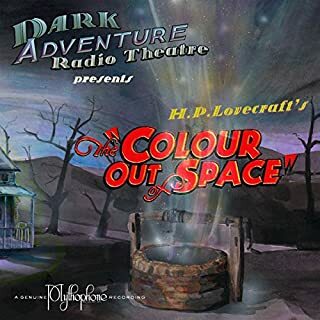 A tale of the empty black void that lies between worlds and how gazing too long thereupon can drive any normal person into madness, the Haunter in the Dark is Enjoyable and chilling as always. 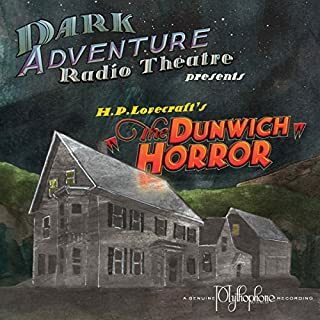 While as usual, listening to Lovecraft's stories without adaptation can be frighteningly dull, the HP Lovecraft historical society again brings to life a chilling tale. Stellar work. This is an amazing production - the dramatization is "on the edge of your seat" worthy!! 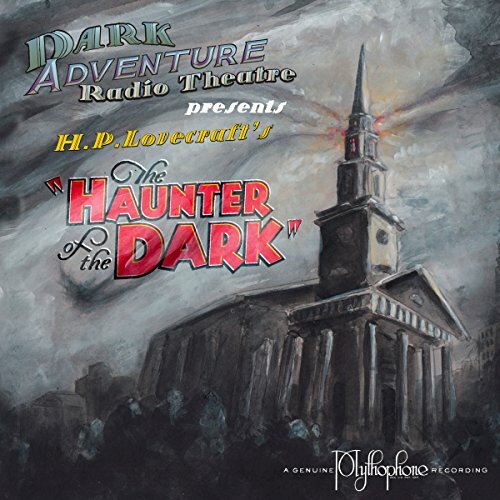 So, I'm off to find my next listen by the H. P. Lovecraft Historical Society! 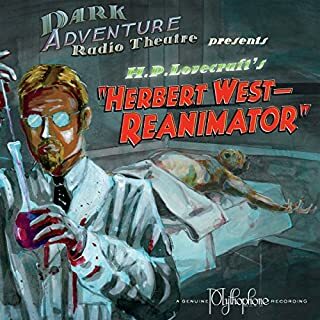 These dramatized versions of HPL are very good. They are well worth the money and time.